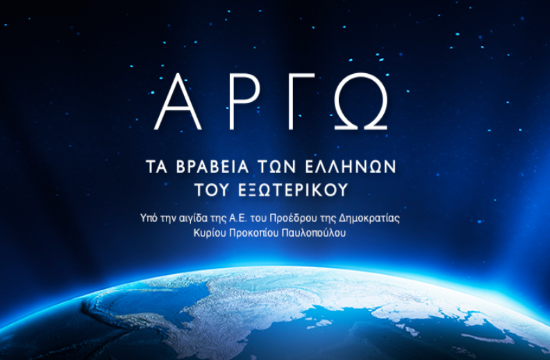 Thousands of Greeks excel abroad, yet their achievements rarely become widely known in our country, which is something that the international association “ARGO – Network of Greeks of the European Union”, based in Brussels, wants to change, according to int.ert.gr. Therefore, at a ceremony that took place on Thursday, March 21, eight distinguished Greeks living abroad, received the first Argo prizes. The event took place at the Athens Concert Hall, under the auspices and in the presence of the President of the Republic, Prokopis Pavlopoulos. Konstantin Filippou, celebrity chef (Austria) – Gastronomy prize.